In 2013, we were new to the automotive scene and Kia was new to the luxury scene. It was a perfect match, then, for us to snag an early review. A lot has changed since then and Kia has been on a roll as of late. 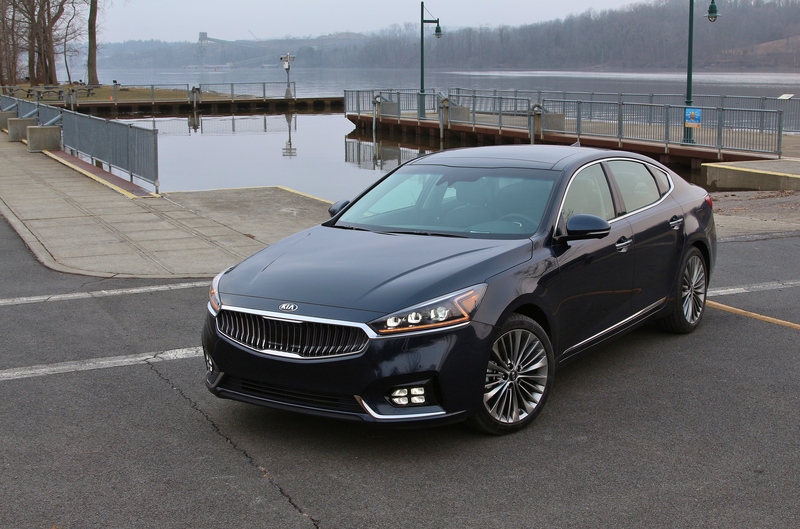 For 2017, the Cadenza is updated for battle against the aging Impala and Avalon. You can call it a second generation and the updates are definitely noticeable. All new designs in the front and rear allow the full-LED headlights, fog lights, and taillights to be focal points. The design is striking and their function is excellent. 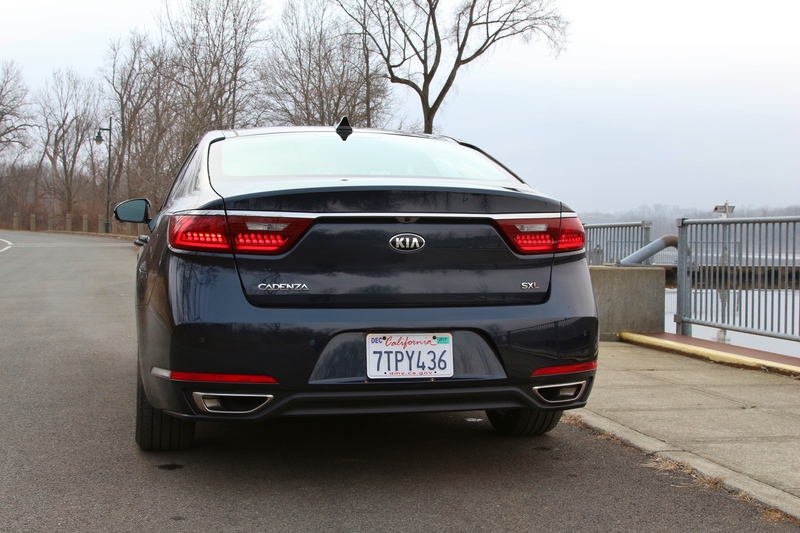 This Kia features some of the best headlights we’ve ever tested. Under the hood, the 3.3L V6 returns unchanged with 290 hp and 253 lb-ft torque. We called it “fun” three years ago and the engine still gets the big Kia up and running amply. The Cadenza gets an all-new 8 speed automatic for 2017 which allows for better acceleration and improved fuel economy. Our tester, the Limited, includes 19” wheels, hand free trunk opening, and Nappa leather seats as standard. It’s the highest trim Cadenza, and it shows. The interior is an attractive chocolate hue, with quilting on the bolsters. Kia’s UVO infotainment system is just as good as it’s always been. With one the clearest and most responsive touchscreens in the segment, navigation directions, radio settings, and assist features are all easily accessible. The seats are comfortable, and the rear seat is the largest in its class. 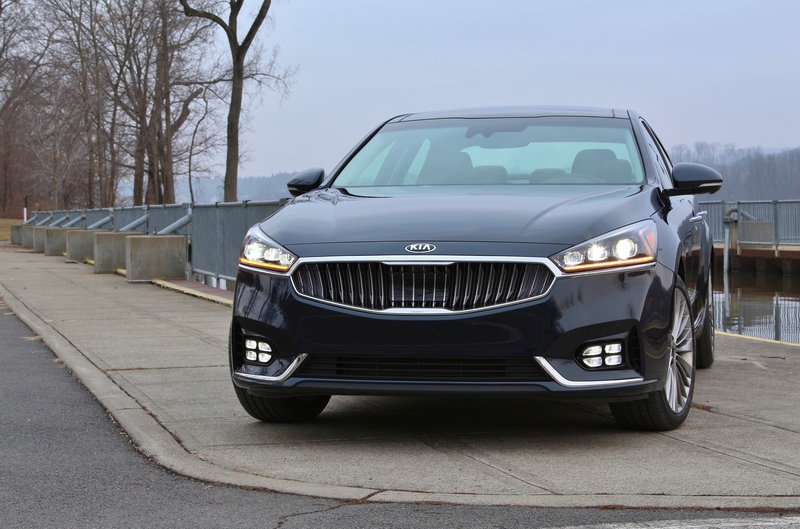 Driving the Cadenza is nothing to write home about, but it’s more capable than its predecessor. The new suspension offers a new level of comfort and drivability. The steering has been recalibrated to offer a more pronounced amount of feel. The improvement is noticeable. It’s much less jello-like than its predecessor, offering some aspect of connection to the front wheels. Spending time in the comfortable and feature-laden cabin is easy, allowing you to rack up miles behind the wheel with no fatigue. Over our week with the Cadenza, we averaged a frankly astonishing 27mpg over 500 miles in mixed driving. In 2013 we said the Cadenza was the new kid on the block; the proverbial problem child in the established order. But now it, and Kia, have established themselves and have matured into the elder statesman of the bunch. It’s certainly the one we’d pick.